SPS University 2019 Registration has been Started now. 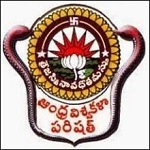 SPS (Sir Padampat Singhania) University is a private university situated in Udaipur, Rajasthan. The university conducts an admission procedure for the applicants which will be followed by an entrance exam. Applicants will be able to get admission in the institution on the basis of the marks secured by them in the entrance exam which is also known as SPST (Sir Padampat Singhania Admission Test). Applicants will be able to get admission in different undergraduate courses such as B.Tech, B.Com, BBA, AIA, B.Sc., etc. and some other postgraduate courses such as M.Tech, MCA, MBA, M.Sc. etc. with the help of the admission procedure. SPS University 2019 Registration has been Started Now. Click Here to Check the Application Details. In online mode, only applicants will get the application form. SPS University 2019 Registration has been Started (for All Courses). Applicants need to visit the official website. And then applicants need to register themselves on the official website. After that applicants need to download the application form from the website. And then applicants need to start filing the application form from the official website with the help of the educational documents. After that applicants need to take a printout of the application form and then submit the application form along with the application fee. The application fee is similar for all category applicants and that is Rs 1175/- and it should be paid in online mode only through any HDFC bank. Applicants must note that official authorities will not accept any other mode for the payment of the application fee other than online mode. HSC exams with minimum 60% marks in total from a known university or board should be completed by the applicant who wants to get admission in different undergraduate courses. Appearing Applicants who are in process of the final exam of the HSC are also eligible. In order to apply, one must have completed a Bachelor’s degree in any discipline from a known university or institution. Official authorities will provide admission to the eligible applicants on the basis of the performance of the applicant in the entrance exam (SPSAT 2019). The entrance exam will be conducted for each course separately with an aim to provide admission to the eligible applicants. However, applicants who will score well in the entrance exam will be eligible to appear for the further admission procedure and get admission in the institution. Applicants who want to appear for the admission procedure needs to fill and submit the application form which will be made available in online mode on the official website of the university itself. 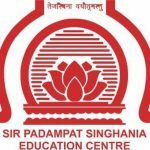 SPS 2019 is an entrance exam which is known as Sir Padamapat Singhania Admission Test. Applicants who want to appear for the entrance exam are instructed to fill out and submit the application form which will be made available in online mode on the official website of the university itself. Once the forms are successfully submitted, official authorities will send a confirmation mail to the eligible applicants once the exam schedule is booked. Applicants will get a maximum of 60 minutes that is one-hour duration to solve the entire paper of the entrance exam. Official authorities will not provide any extra time limit to the applicants to solve the question paper of the entrance exam. However, the question paper of the entrance exam will contain maximum objective type questions in it. For incorrect answers, there is no provision of negative markings in the paper. Once the entrance exam is successfully completed, official authorities will release the results of the applicants. The Results will be announced by the official authorities in online mode on the official website of the university. No other way will be available for the applicants to get the result other than online mode. In order to get the result from the official website, applicants need to visit the website using the roll number and date of birth and download the result from the website. Applicants will be a call for the counseling session on the basis of the marks secured by them in the entrance exam. However, along with the results, official authorities will also update the merit list on the website. Applicants need to check the merit list on the website also. As on the basis of the merit list, applicants will be able to appear for the counseling session. Official authorities will conduct a counseling session for those applicants who want to get admission in the institution. However, in order to appear for the counseling session applicants need to download counseling call letter. And for the reference of the applicants, official authorities will update the counseling letter on the official website itself. 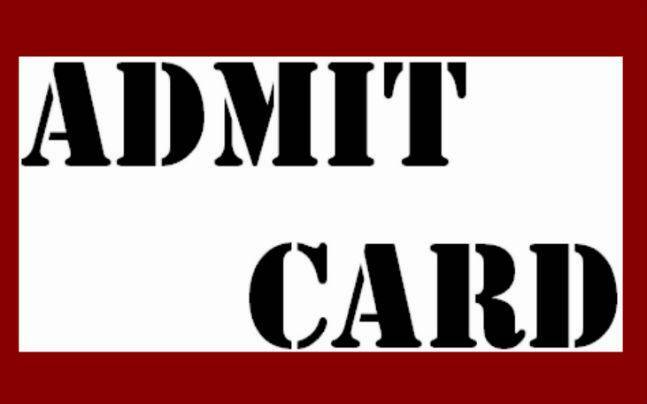 Applicants will be in need of holding the counseling call letter along with all necessary documents (original and attested copies) at the time of counseling session for the document verification process. Applicants also need to pay the counseling fee at the time of counseling as decided by the official authorities. Once all the documents are successfully verified by the official authorities, they will allot seats to the eligible applicants in the institution. However, seats will be allotted to those applicants only who will successfully meet the eligibility criteria set by the university. Once the seats are allotted applicants are instructed to report to the allotted institution along with the provisional seat allotment letter for admission. Applicants will be able to download the provisional seat allotment letter from the official website of the university itself. Applicants need to carry all important documents along with them and report to the allotted institution. After reporting to the allotted institution applicants need to pay the admission fee and confirm the admission of the applicants. For any other queries about SPS University Admission 2019, you can leave your queries below in the comment box.